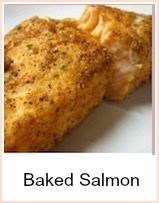 This baked salmon recipe has many uses. Here you have instructions for roasting the salmon, then using it in a salad with a very tasty dressing. 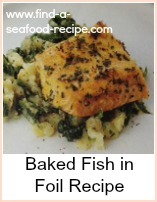 This would work well as a salmon appetizer or as a main course. It would serve 8 as an appetizer or 4 as a main - simply scale up if you have 'big' appetites. The salmon is cooked in fillets, so you won't need extra cooking time. Heat the oven to gas mark 7, 425F, 220C. Take a screw top jar and put in the olive oil, balsamic vinegar, garlic, capers and parsley. Give it a good shake and then pop it into the fridge to chill. Brush the salmon with oil and give it a few twists of black pepper. Roast for about 15 minutes, until the fillets are firm to the touch - they will be paler in color. Mix together the salsa salad ingredients and pour over a little of the dressing - mix thoroughly so the flavors amalgamate. When the salmon is ready, allow it to cool for a little while. 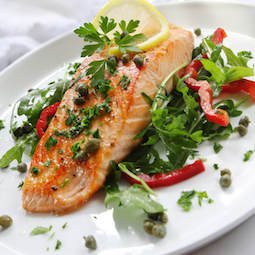 Layer some salad leaves on the bottom of a plate or shallow dish - add the salsa, then place the salmon fillet on top. 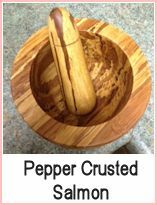 Drizzle over some dressing and serve with some crusty bread to mop up the dressing. Baked salmon with a balsamic dressing and a salsa type chopped salad. 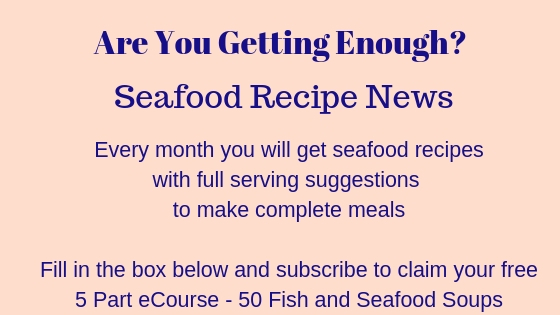 Perfect for a main, an al fresco meal with friends and family or a seafood appetizer.